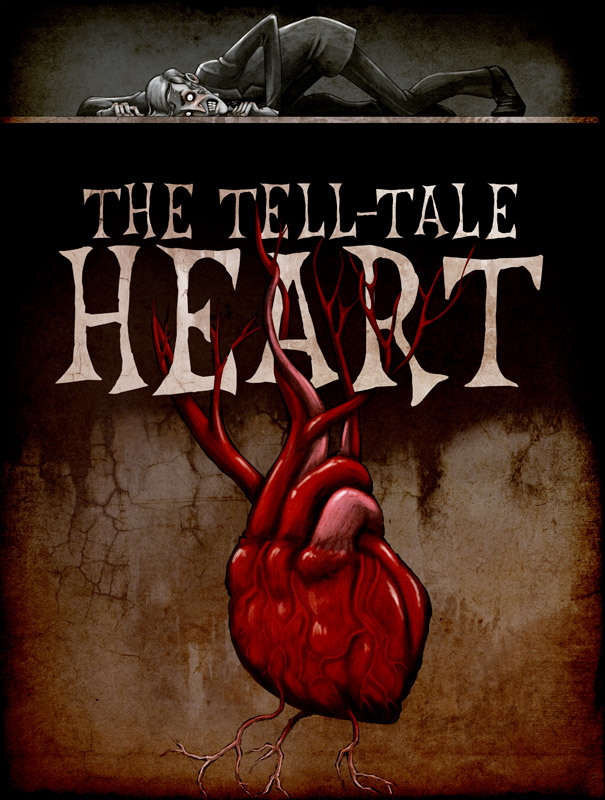 5 Stars / Poe, Edgar Allan / Short Stories / Tell-Tale Heart The / Tuesday Terror! I think it was his eye! yes, it was this! One of his eyes resembled that of a vulture – a pale blue eye, with a film over it. Whenever it fell upon me, my blood ran cold; and so by degrees – very gradually – I made up my mind to take the life of the old man, and thus rid myself of the eye forever. 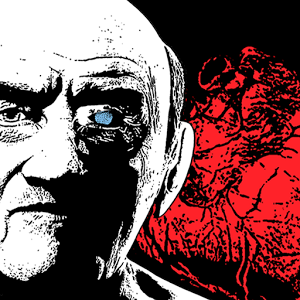 …for it was not the old man who vexed me, but his Evil Eye. It was not a groan of pain or of grief – oh, no! – it was the low stifled sound that arises from the bottom of the soul when overcharged with awe… I knew what the old man felt, and pitied him, although I chuckled at heart. The old man’s hour had come! With a loud yell, I threw open the lantern and leaped into the room. He shrieked once – once only. A madman may have left some signs of this horrible crime, but our narrator is not mad – he takes every precaution to leave no trace. So when the next day three police officers arrive, alerted by neighbours who thought they heard a shriek in the middle of the night, he has no fear of discovery. If you’d like to read the full thing, here’s a link. And here’s the wonderful Mr Vincent Price telling this and other Poe stories – perfect for October nights! 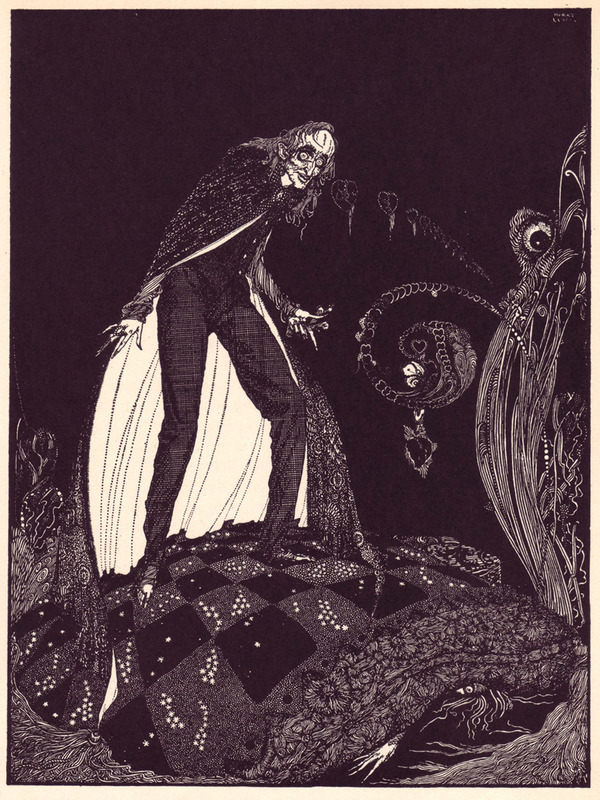 book review, edgar allan poe, harry clarke, horror, tales of mystery and imagination, the tell-tale heart, tuesday terror! Well, hello, Mr. Porpentine! Not surprised you popped out for this one. It’s a real classic of horror, told as only Poe can. I’ve always liked the buildup of suspense and the menacing tone of this story. And what’s most brilliant about it is that so much of the horror is in the narrator’s mind. Just a brilliant story and a great choice. This is one of my great favourites! It sort of haunted me for awhile after I had read it. Poe is an absolute master and I love the way so much is left to the mind of the reader. Well worth the fretful porpentine rating, I say. Such a clever, clever piece of writing. It’s what he doesn’t say that is the creepiest of all! I know – I wonder why so many people do Lovecraft pastiches rather than Poe ones. He’s so much scarier! Ah, finally one I’ve loved muchly much! Poe is outstanding — his choice of words, his grasp of pacing, the eeriness of his stories, all combine to keep the reader on the edge of his seat, looking about at shadows, and startling at even the tiniest of noises! And what a cute porpentine! I’d wondered what one looked like, you know! I wonder if a modern writer could get away with this sort of vagueness? I’m so curious. Poe is the original master of the creepy. I had just read five modern horror stories in a row before this one and what a difference! The modern ones are so long in comparison, and go into characters’ backstories and so on, and then quite often the end is so vague it confuses rather than terrifies. I think being vague about the right things is an art in itself. And Poe was the artist! I love me some Poe! That was the first story of his that I read many moons ago, and it continues one of my favorites. If course, if one indulges in opium, one may come up with any manner of strange things. That is probably a good idea. Yes, Poe was good. His detective stories are not quite the same. I have this story (along with a few others by Poe) on my kindle. Must try to read it during the Halloween season – your review really whets the appetite. I actually know this story! *maybe does a victory dance* So, that makes me quite proud, too, the sudden. Anyways…man and wife! How interesting. Of course the narrator might be a woman. What a wild thought. So…what do you think happened? It does?! I didn’t know that! It is such a spooky one. But of course I’m not afeared of it. *laughs* What a vicious story! But I sorta like it. Still, couldn’t she ask for a ballgown? He might’ve given it to her. It’s a possibility, after all. I do feel bad for her. Go rescue her, FEF. And have her meet Rafa immediately. She did – she begged and begged. She also pleaded with him to dance the cotillion with her and he kept promising to and then backing out. And then he danced with someone else! No wonder she brutally killed and dismembered him – totally justifiable — though she should probably have done it the other way round. *gasps* She’s not getting my Rafa! No, sirree!! I’m very proud of you! But then again, I thought you liked spiders? I know BUS is afeared of them, though. *laughs* It’s true! I’m actually scared of dancing. *shakes head* What a wonder. *laughing lots and lots* Women can be so violent, don’t you know. And vindictive. Well, she should’ve got herself a ballgown, then! Hey…maybe he wanted to go and catch moths with her, but she didn’t want to. See, these are the things we shall never know. Oooh, no, can’t stand the things! I’m not quite as scared of them as BUS, but this one was HUGE!!! *laughs* Secretly, I think most people are scared of dancing. But that means the person you’re dancing with is usually at least as scared as you! You know–and this will probably freak you out a bit–I usually leave spiders go when I find them. They’re good for the house, see. We can benefit from them! You’ve got no heart if you kill a harmless spider, I say. Hmm, still I’m glad I don’t have to dance. I might forget it about once or twice. Or even thrice. But that isn’t a horrid thing! A feministic head nod? Agh! Benefit how? The exercise we get when we run away from them?? I don’t kill them either – if they stay away from me, I ignore them, but if they come too close I catch them and put them outside. Unless they’re too quick, in which case I run about shrieking and yelling at the cats to catch them… which rarely works, in truth, but it relieves my feelings. But I’m not getting married. So, that’s that, see. All’s well on the horizon. Moths are only attracted to light. You must shine! But tigers don’t break into my house and walk across the ceiling! *checks* But anyway, I don’t kill them!! *shakes head sadly* Poor womankind! So unfair! That’s ’cause you don’t have tigers in the UK…but you might have wolves someday soon. And they might break in and eat things. Like your rug, for instance. Well, I don’t think it’s unfair at all. Haha. *laughs* That’s a funny imagine. You should wear a beanie. I wouldn’t kill wolves either! Anyway, they’d be too big to get in the cat flap. *laughs about marrying type* How odd, I say. On your heard! Beanies keep the whole face warm. Even the toes. You keep your toes on your head?? That must make hopping special fun! Oh, my goodness, we read this in class when I was about 11-12 and I nearly died of fright (although it was daylight and we were quite numerous). One of the best, indeed! Great review of an old favourite. Ah, but sleep will eventually overtake you however hard you fight it… bwahaha!! Love this story. I took part in a month long Reading Group on the Guardian reading the short stories of Poe. Some people were dismissive, but when you think about how really original he was in his day it is impressive. I think that when some writers have set a standard that has then been built on so much it is easy look back and discount their innovation. Sounds great . I need to read some Poe stories soon. Thanks for the link. The language is wonderful and the repetitions heightened my feelings of anxiety. Hope I sleep tonight! Ah, the repetitions – yes, the repetitions!! And the eye – the eye of the vulture – staring – staring in the darkness! Sleep well! Just as I expected, shouldn’t have read the story just before bed. Thanks, Beth! Yes, it’s a great one – he does madmen so well! Thank you! 😀 I was just thinking I should really read some more Poe for Hallowe’en – he’s the master of horror! Oh yes!! 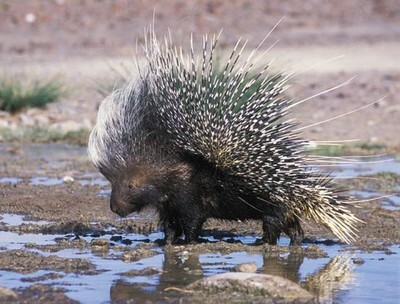 And that is how it should be done – and I’m a fan of dashes – Great to see all the porcupines out for this one, a great and very creepy tale indeed.